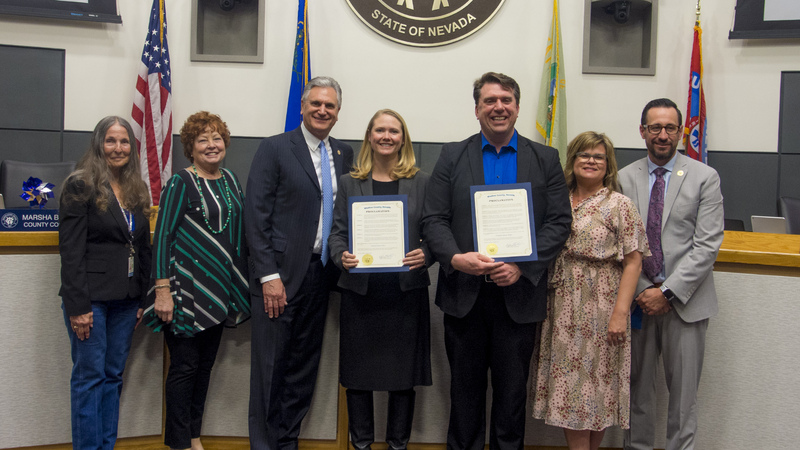 Board of County Commissioners proclaim April 7-13, 2019 as National Library Week. The proclamation recognizes the services and educational resources libraries provide to the community. Board of County Commissioners proclaim April 14-20, 2019 as National Public Safety Telecommunications Week. The proclamation honors the dedicated professionals who serve as the first and vital link between our citizens and emergency services. 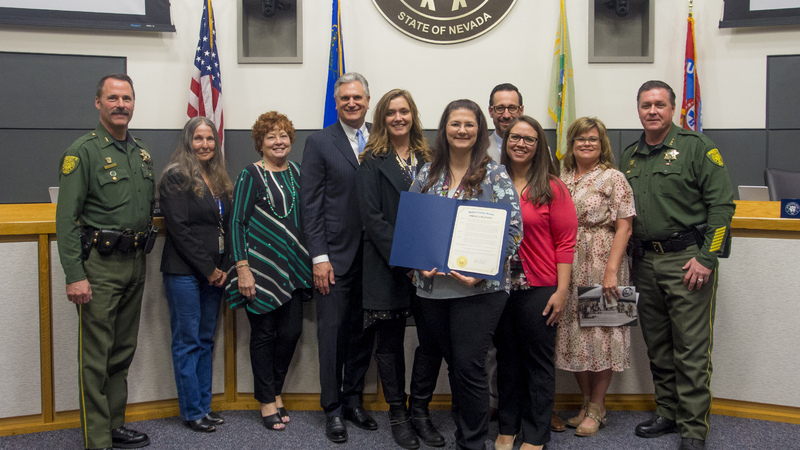 Board of County Commissioners proclaim April 2019 as Fair Housing Month. 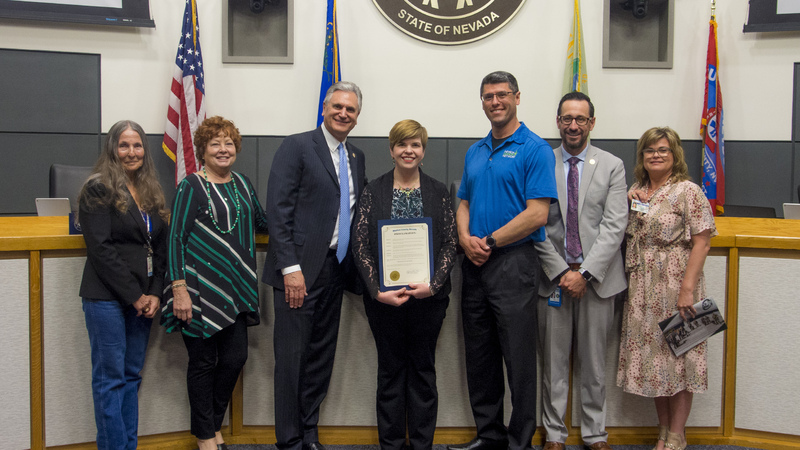 The proclamation acknowledges the work in our community to ensure equal housing opportunity for all people in Nevada to freely choose where they want and can afford to live. 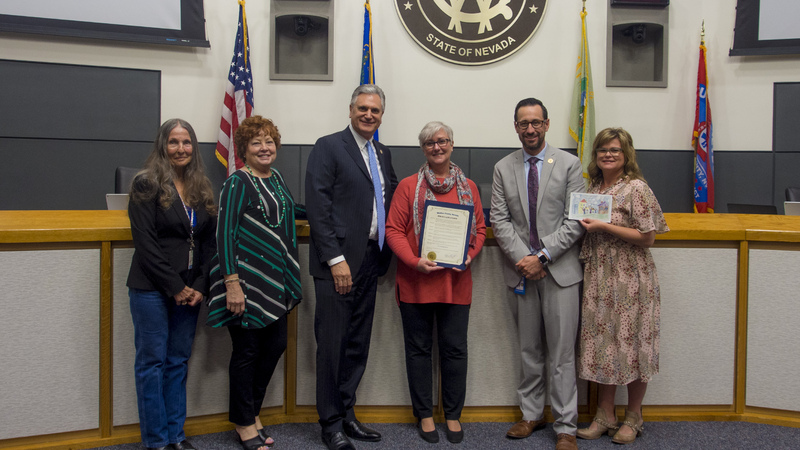 Board of County Commissioners proclaim April 2019 as National Child Abuse and Neglect Prevention Month. 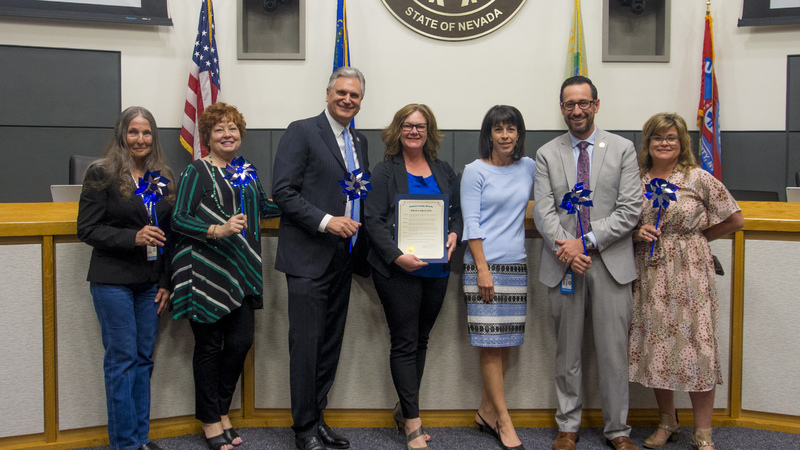 The proclamation encourages national efforts to raise awareness by placing blue pinwheels at Washoe County buildings to represent the carefree childhood every child deserves. Board of County Commissioners proclaim April 2019 as National Donate Life Month. The proclamation recognizes the importance of organ and tissue donation here in Washoe County and encourages Nevadans to register as donors. Donation to the Washoe County District Attorney’s Office Child Advocacy Center in the amount of $75.00 on behalf of the Shuman Trust for equipment, operational and programs needs. Donation to the Washoe County Sheriff’s Office in the form of seven ballistic carrier plate vests and tactical training handler uniforms valued at $6,032.99 on behalf of Washoe County K9 Partners to benefit the K9 Unit. Donation to the Washoe County Sheriff’s Office in the amount of $2,000 on behalf of the Janelle Buterfield retirement account as a one-time bequest for operating costs. Donation to the Washoe County Sheriff’s Office in the form of a 20-foot tow trailer valued at $1,000 on behalf of William Tank Lines to the Regional Public Safety Training Center to be used as a training prop. Donations to the Washoe County Human Services Agency in the amount of $15,526.66 on behalf of generous community members to the Washoe County Senior Centers to support operations. Donations to the Washoe County Human Services Agency in the amount of $8,475.28 on behalf of generous community members to support child welfare activities. Donation to the Washoe County Human Services Agency in the form of a 2018 Ford Transit Wagon T-350 valued at $37,841 on behalf of Grace Church to be used for the Crossroads Women’s program to support the expansion of the Northern Nevada Adult Mental Health Services campus and Hope House. 3. Commissioners direct Special District Funds. The Board of County Commissioners has approved special district funds disbursement for Commissioner Kitty Jung in the amount of $5,000 to support Washoe County employees in their participation in the Truckee Meadows Trails Challenge.